TV Chef selling almost one million books in the UK alone on cooking made easy. Lorraine is a British former model and television cook and is very supportive of the charities Barnardos and Tact which both deal with fostered and adopted children. She is also an ambassador for Rays of Sunshine, The Prince’s Trust and Sutton Community Farm. At the end of last year, Lorraine was also named as the government’s first Fostering Ambassador. 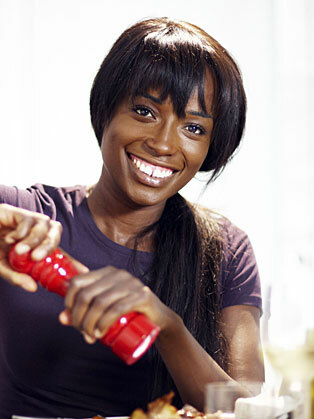 Known to millions as the ultimate patisserie chef, Lorraine Pascale is one of the most recognisable chefs on TV. A star on screen in the UK and the US, Lorraine is also a best-selling author with more than one million books sold to date. Lorraine's skills have made her one of the most talented, versatile and qualified chefs, whilst her on-screen style has seen her host an array of BBC cookery programmes, including ‘Baking Made Easy’, ‘Home Cooking Made Easy’ and ‘Fast, Fresh and Easy Food’. In 2016 her substantial TV presence in the US grew again with her returning to front both baking shows and appearing as a judge on ‘Worst Bakers in America’. In another jam-packed year, 2017 sees Lorraine release her beautiful brand new book, BAKE. With 125 recipes making it easy for home bakers to create show-stopping bakes that will delight friends and family in one of her most comprehensive baking books yet. Apart from her passion for cooking, baking and food, Lorraine speaks about well- being & lifestyle and due to her upbringing as a fostered child, she covers areas in adversity and motivation as well as diversity and Inclusion.